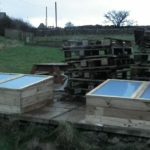 2 coldframes, a bargain buy, constructed and modified to cope with our high winds. Set them up on the old greenhouse base. 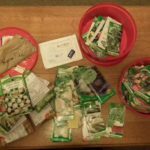 I've been sorting out my seeds ready for the new season and trying to use very old 'stock' for microgreens. 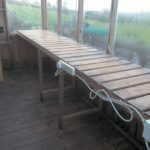 Hit a problem with the potting shed as well. 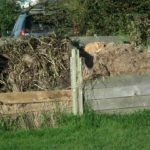 How Much Compost Do You Need? 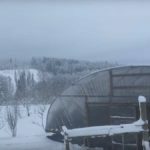 I show how to calculate the ideal compost requirement for a vegetable plot in both metric and imperial measure. It's more than you might think. 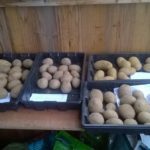 I've started chitting my potatoes and produced a detailed planting and harvest plan for the different varieties. Hope the weather complies!